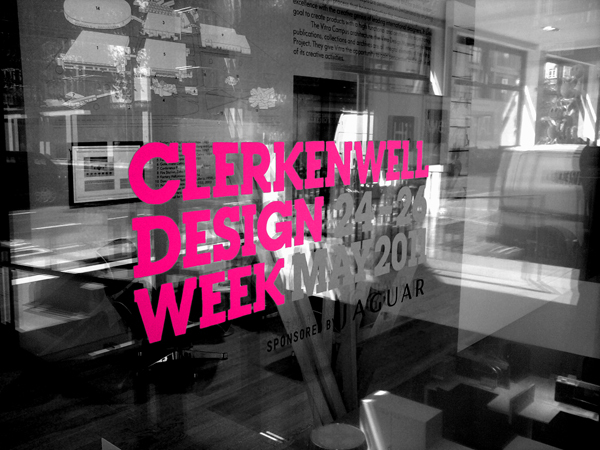 The Clerkenwell Design Week has been visited by our new contributors Ceri Almrott and Nick Morris, and they both have written their own view on it. Adjacent to Old Street (London’s Creative Hub); Clerkenwell is one of the coolest areas of London. It’s Victorian warehouse buildings are home to over 60 showrooms and a number of architectural and creative practices. It is London’s perfect location to host an international festival that celebrates all disciplines of design. This years festival was the second annual celebration and was host to over 150 events as well as a series of pop up exhibitions, installations, talks, performances allowing Studios and designers to showcase their newest line up. The centre of the exhibition was the Farmiloe building, a great space which was once the home of Victorian lead and glass merchants. The exhibition it housed had some exciting new concepts from producers great and small. Jaguar, the lead sponsor of the event, had a their newest concept car, the CX-75, on display next to a clutch of new anglepoises and some furniture from Nigel Coates. One of the most striking pieces in the exhibition was from Ochre, a fantastic LED chandelier produced from glass tear drops and gold leaf. Set against a large aged mirror it fitted the gritty warehouse setting perfectly and was striking against a back drop of retro modernist furniture on the floors below. There were a number of themes that ran through the exhibition from sustainability to design education (two themes that are close to my heart). On the design education front it seems that inspiring children whilst they are still at school and the teaching of solid basic craft skills, like the joining of timber and are really important and lead to a fully rounded designer rather than teaching “design”, that comes later. One logo that cropped up on several times was that of Buckinghamshire New University, who have over recent years contributed a significant number of designers to the Clerkenwell scene. All in all CDW was an interesting and enjoyable place to view emerging talent, new products and some genuinely interesting pieces. There were some great networking opportunities and the CPD’s, especially the trend watching one by Style Sight, were really informative. Heres to another good year of design and an even better festival next year. About the author: Ceri Almrott is a professional product designer responsible for running the design department of an SME based just outside of London. Ceri has previously worked for a large pharmaceutical company designing for their R&D and production departments. As a freelancer Ceri has worked for a venture capital company looking specifically at launching products in the Californian sports market. 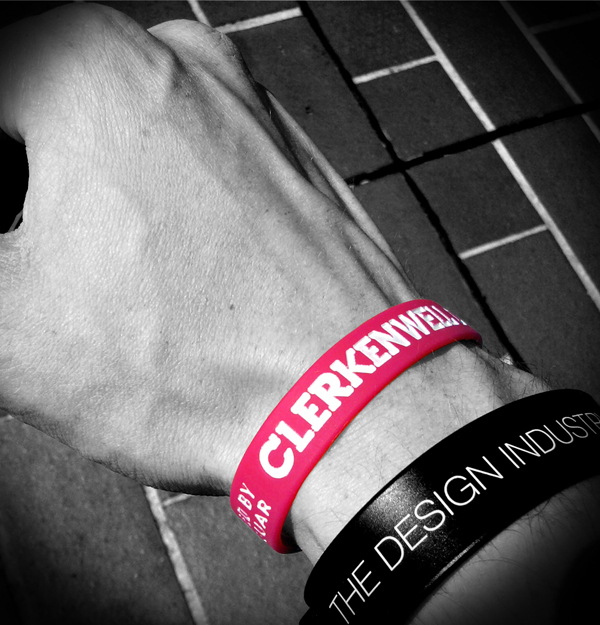 May 24th saw the first day of Clerkenwell kick off with a bang. 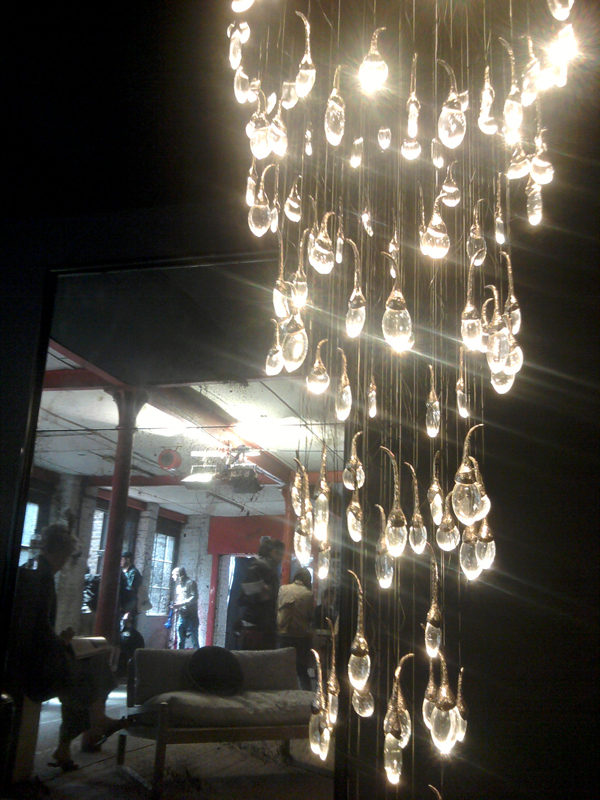 With a lot of media attention, tweets everywhere and the talk of the design community, Clerkenwell did not disappoint. Proud designers were present with a vast variety of design styles and outlooks displaying their creations. The first design to catch my eye was by Assemblyroom. Although just a simple table, not addressing any major current lifestyle issues, the clean form and simple material use creates a sophisticated, elegant side table. 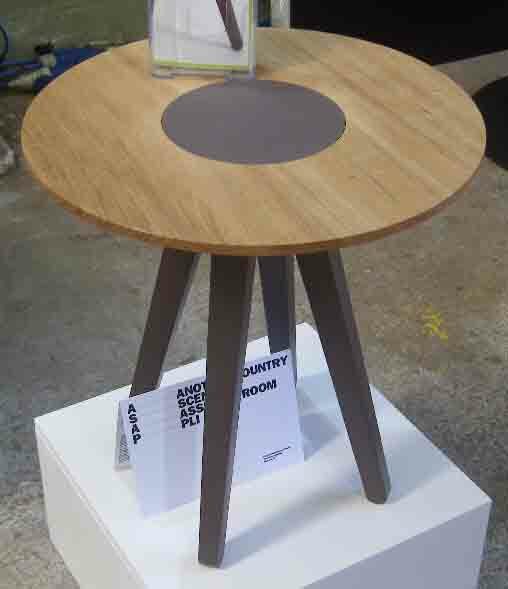 Available in various sizes and material choices this table would look great in any young aspiring designers flat. What do you do when you get out of the shower with your wet towel? Hang it on the door where it wont dry and the next day you will just use a damp towel? Do you just put your shirt on the bed or a chair? Well no more. Alex Bradley has designed a solution to fix this problem, “Lean”. 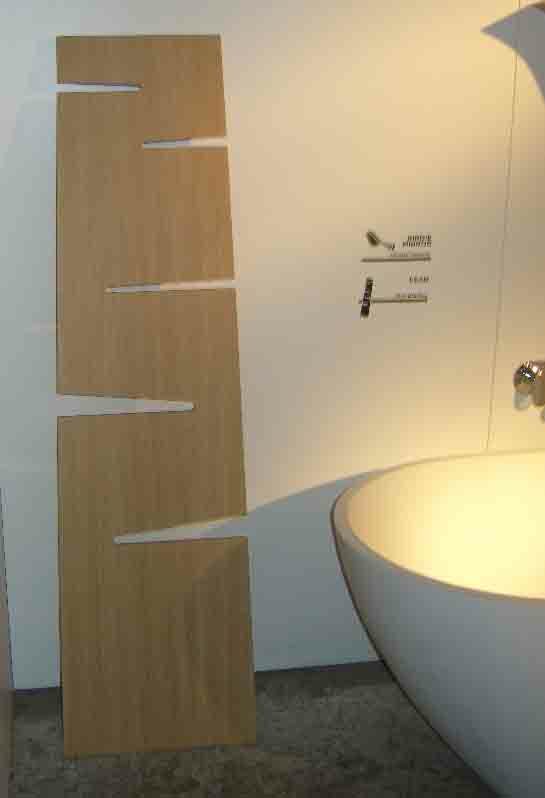 Simply lean “Lean” against a wall and slide your towels or clothing into the slots. Simple and effective, job done. These were just two designs that caught my eye from hundreds displayed. 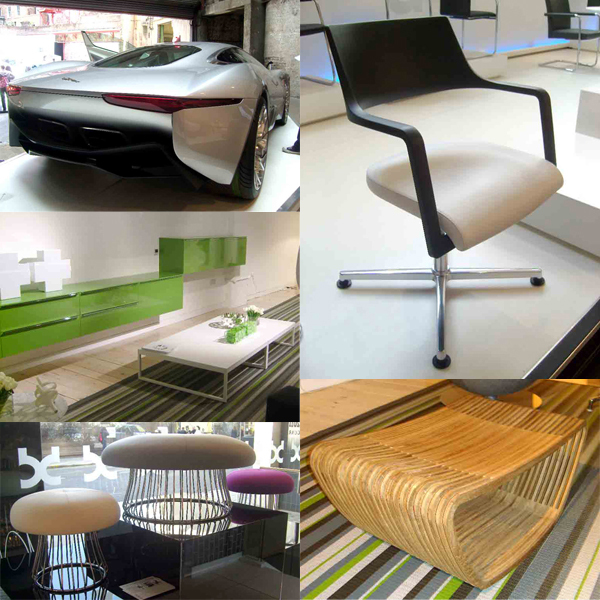 However I know us designer types like to look at pictures so I have included a selection below. If you missed the show this year then I hope you are able to go next year to support British design and enjoy the products / conversations first hand. Sounds like a great show. But why is it any better to hang your towel on one of the slots on ‘Lean’ than to hang it over a door?